The soldier who wishes to remain anonymous told his story on Facebook. He is still on active duty and has served two tours in Afghanistan before being relocated to a position in America. Liberals are so entitled and have no understanding of the sacrifices made by our soldiers, and this brat was rightfully put in her place. 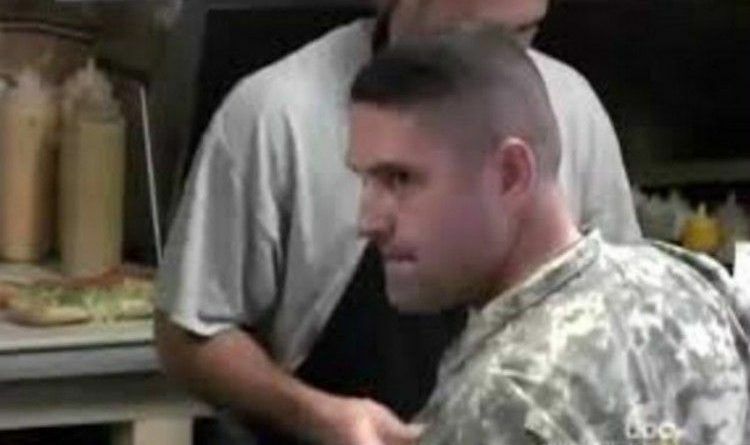 This active duty soldier, who has also served two tours in Afghanistan, was back on American soil trying to order a meal. 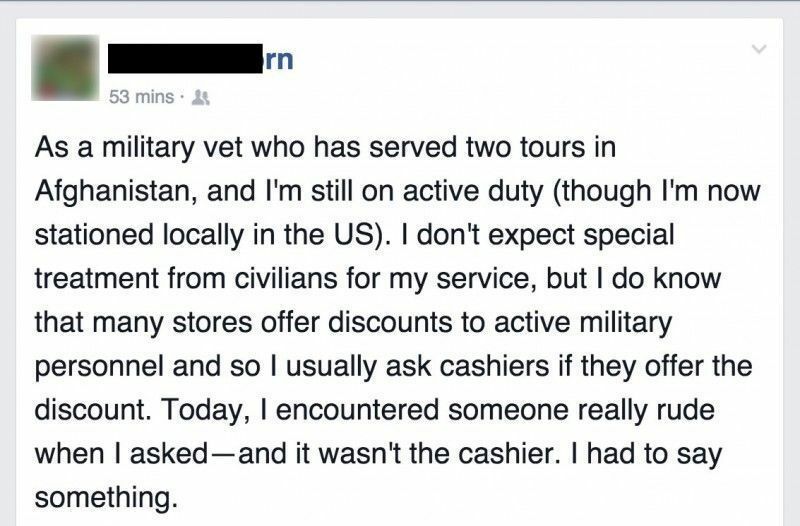 The soldier politely asked the cashier if they had a military discount. Now for most this would seem like a very reasonable inquiry but that’s not how one lady saw it. 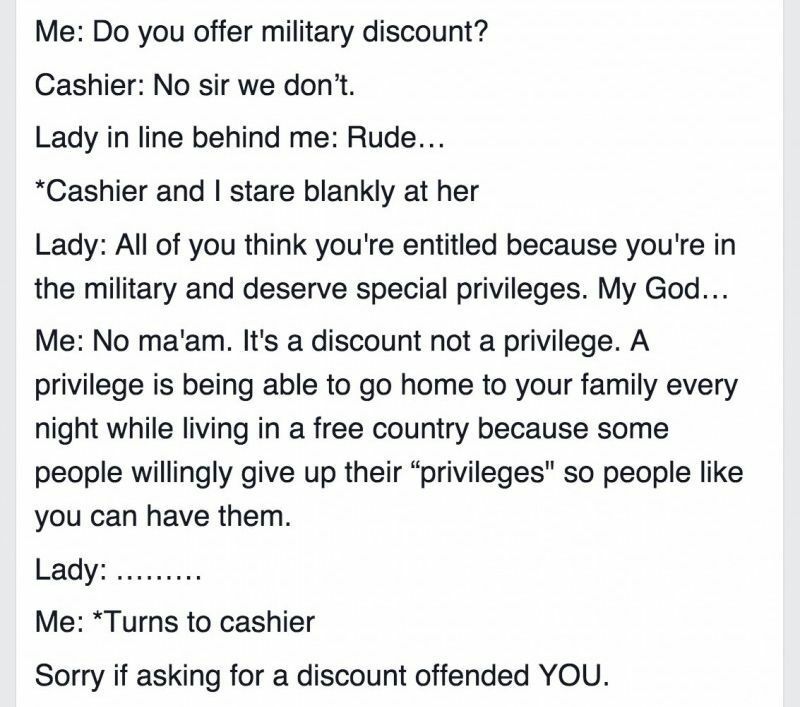 She gawked and yelled at the soldier going as far as to call him entitled for giving up so much to this country so that she can enjoy the many freedoms of our country. So the soldier made sure to set her straight with this awesome retort. We must continue to show our soldiers the respect they deserve in spite of the arrogance of liberals. We can overcome the loud disrespect being flung by pink-haired leftists by reminding our soldiers and veterans every day that we appreciate their great sacrifice. Today is 74th Anniversary of D-Day – This Is Why We Support Our Army!